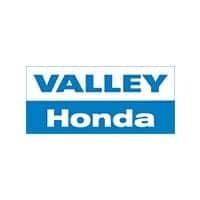 At Valley Honda, we place a high value on the foundation and principles that Honda Motor Company was originally built on. The Honda Motor Company we know and love today was first incorporated in 1949, but Soichiro Honda was working well before then to perfect his craft. At first, Mr. Honda was an apprentice at the Art Shokai garage, learning how cars worked after a childhood fascination. As he learned about auto repair, he also became curious about how cars were built originally. Out of the Art Shokai garage, he began to manufacture piston rings for Toyota, traveling all over Japan to learn all he could about manufacturing to build the best supplies possible. After the Second World War, Soichiro took engines remaining from military manufacturing and built his first motorized bicycle. The Honda Motor Company grew and became a leader in motorcycle manufacturing after the debut of the first completely Honda unit, the 1949 Model D (or Dream). By 1964, Honda was officially the world’s largest manufacturer of motorcycles. Honda Motor Company’s first foray into automobile manufacturing was in 1963, when they produced the T360 mini pick-up truck, followed by the first production car four months later, the S500 sports car. From there, Honda began to build cars, introducing the Honda N600 sedan to the American market in 1970. In 1973, Soichiro Honda stepped down from the role of president of the Honda Motor Company. In the 1973 model year, the Honda Civic made its debut, followed by the Honda Accord in 1976. In 1980, Honda Motor Company established their first manufacturing plant in America. In the ‘80s, Honda Motor Company made many advancements in assembly by creating an automated line for the painting and coating of cars, building the smallest welding line, and developing production lines. In 1991, everyone mourned the passing of Soichiro Honda on August 5. Honda has a long history of innovation and quality in all of its endeavors, and at Valley Honda we value those same principles. 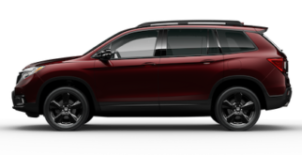 After the amazing things that Honda has already built, it will be incredible to see where the future will take Honda Motor Company, as well as Valley Honda! For more information on Honda History, visit Honda Worldwide.